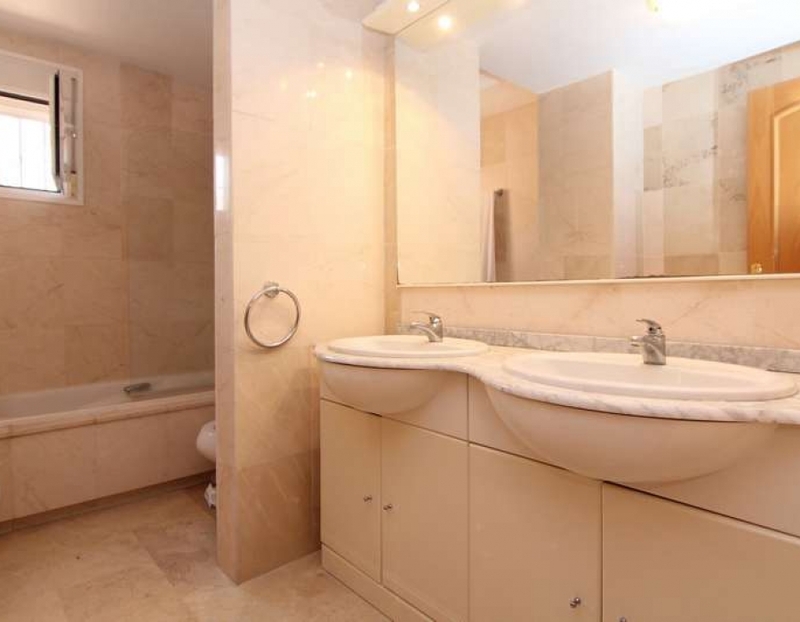 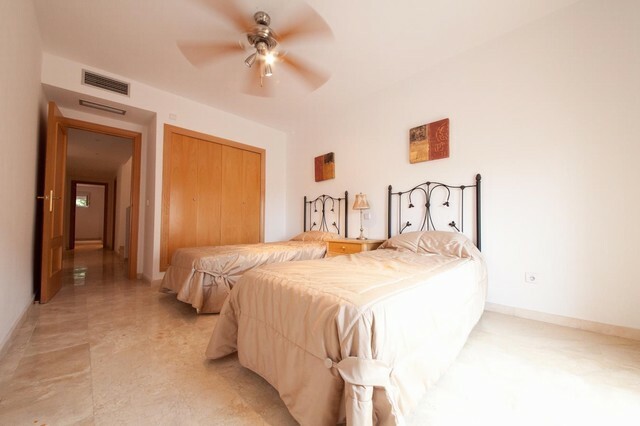 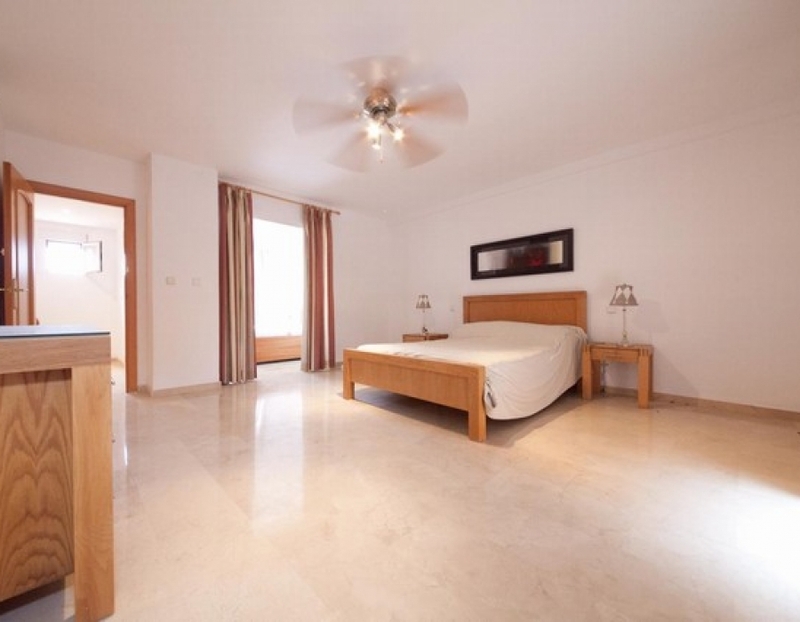 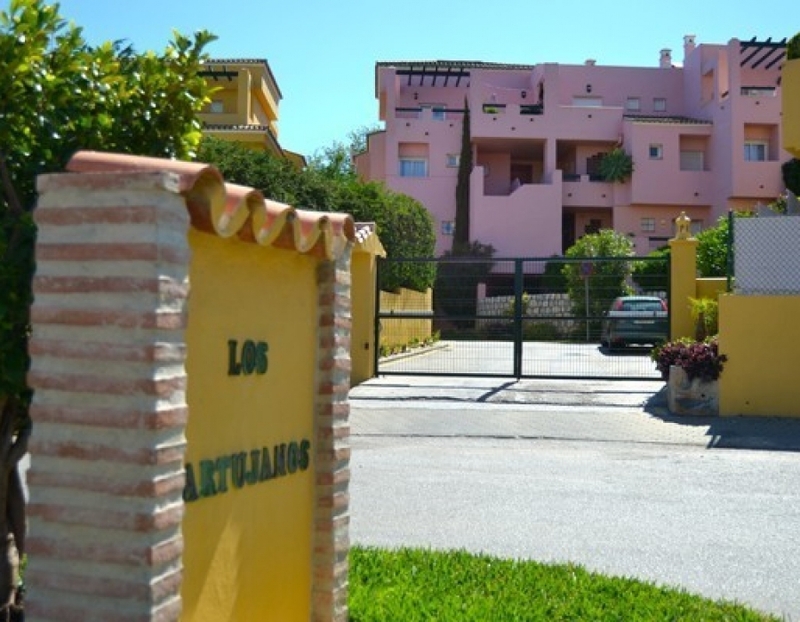 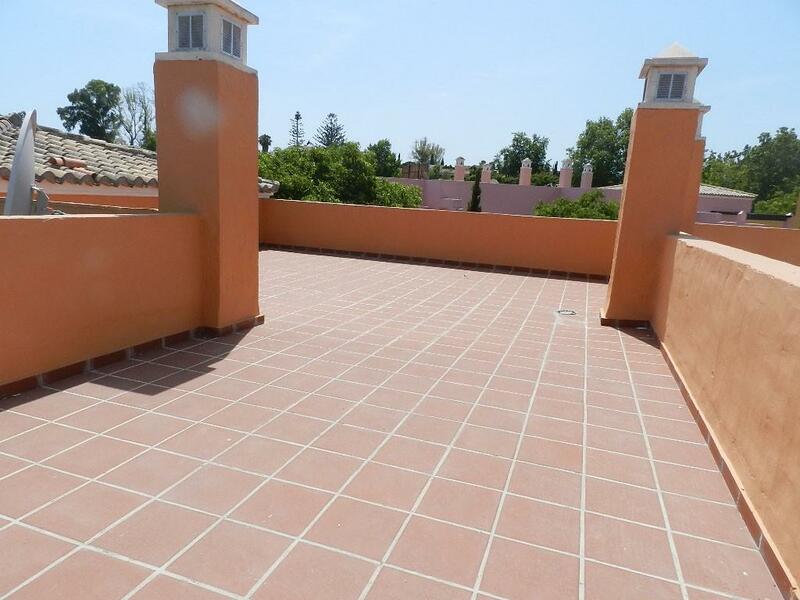 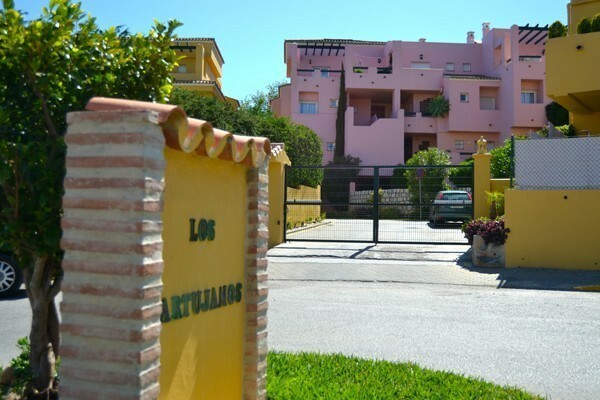 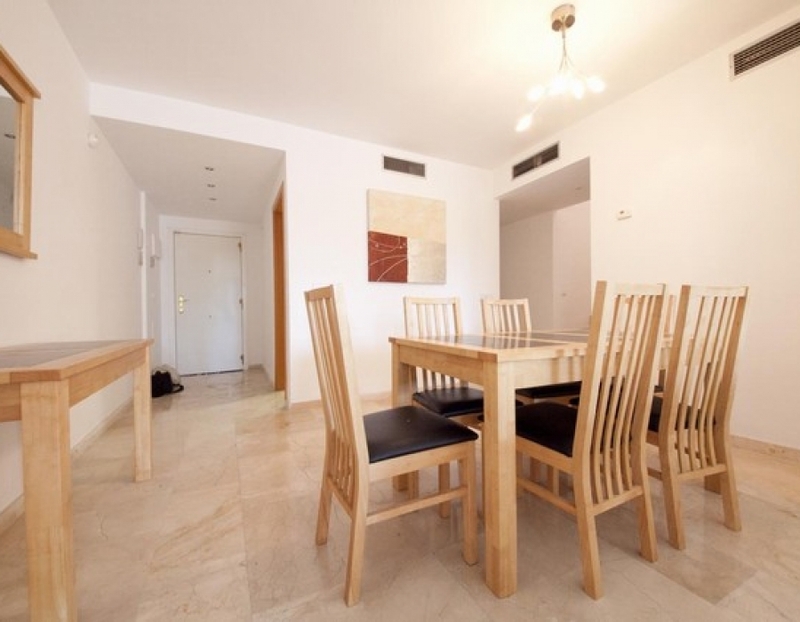 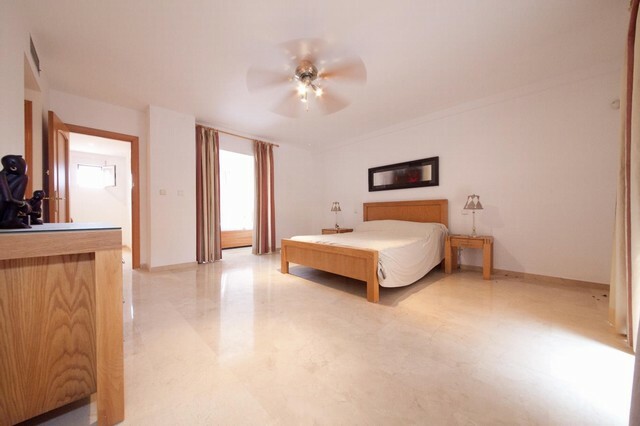 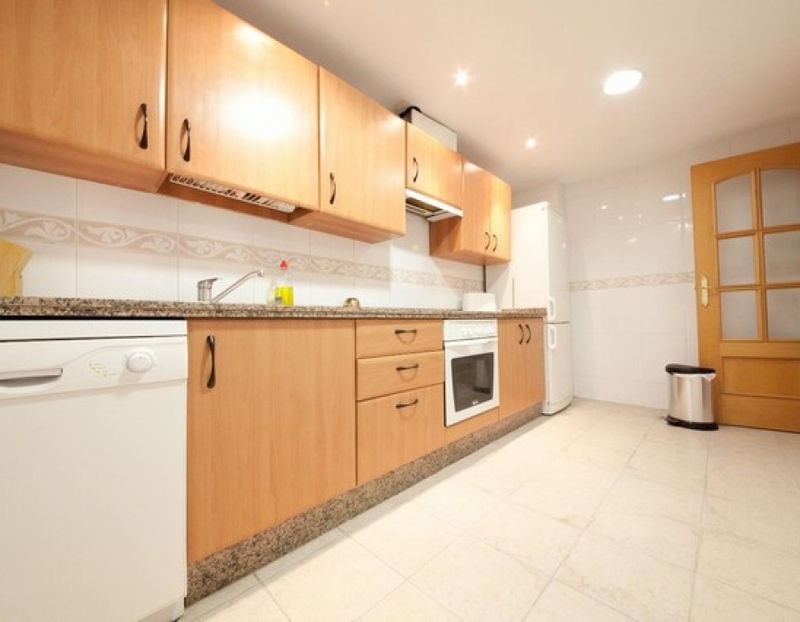 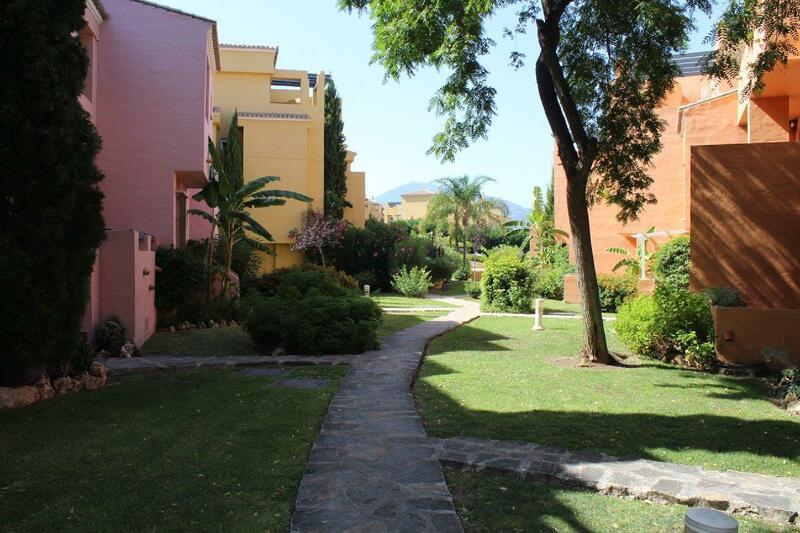 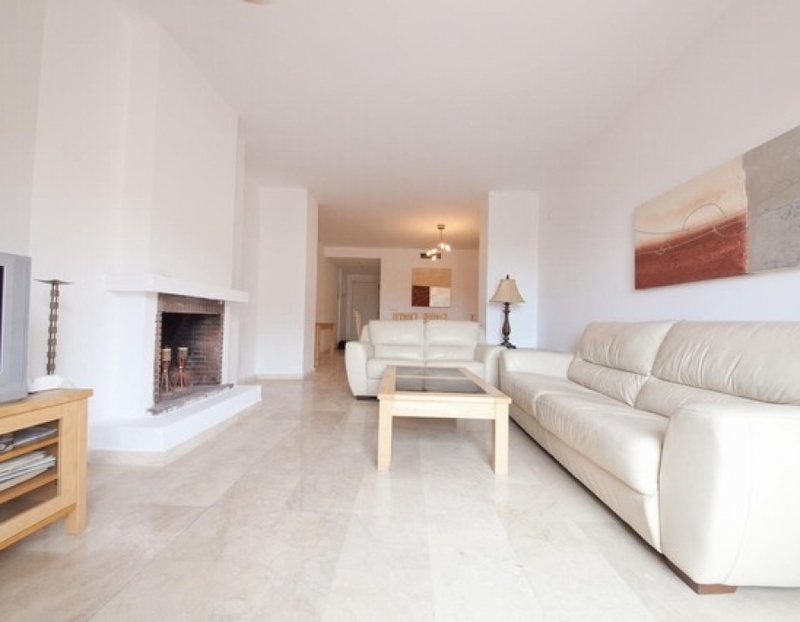 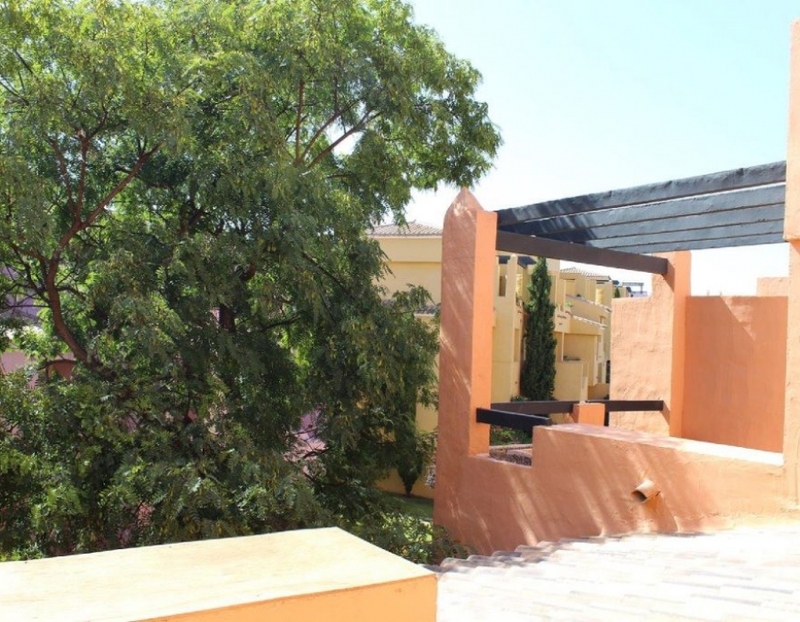 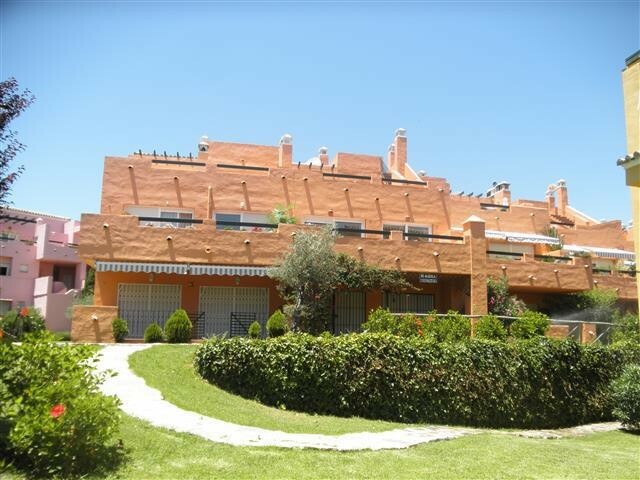 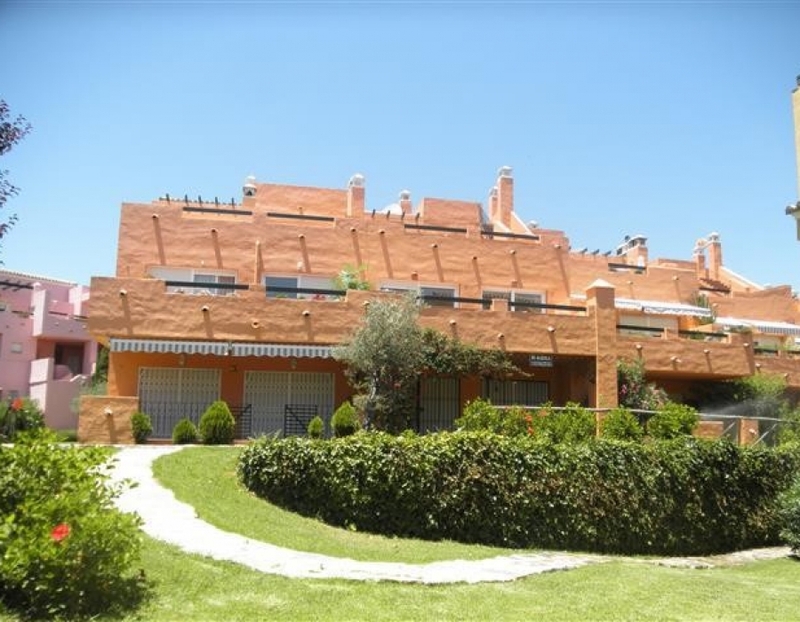 Duplex penthouse for sale in Marbella Guadalmina Alta. 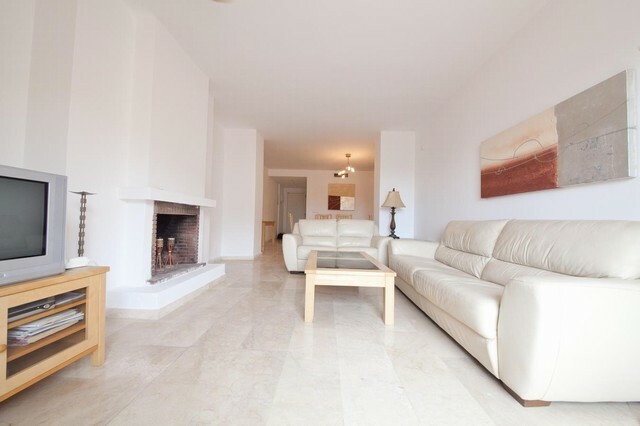 This outstanding luxury duplex penthouse apartment in Guadalmina Alta (Marbella) is situated in the popular Andalucian style urbanization of ‘Los Cartujanos’. 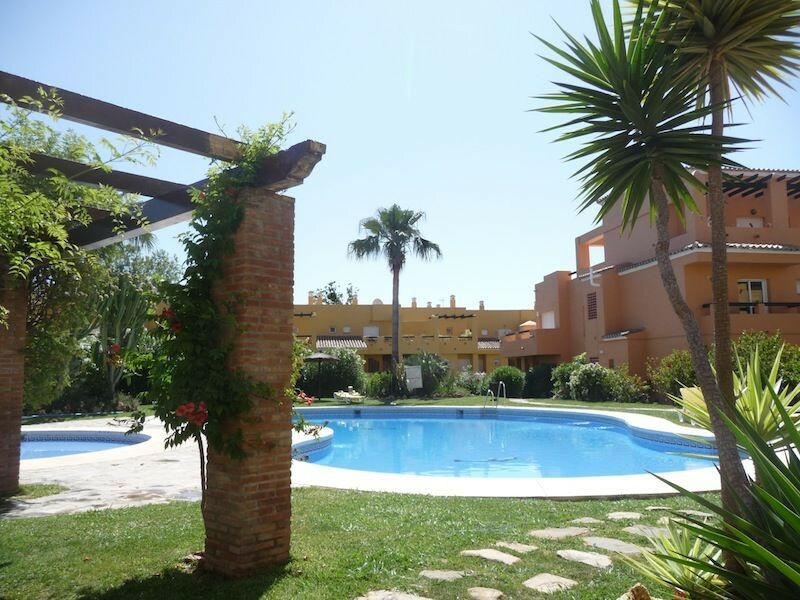 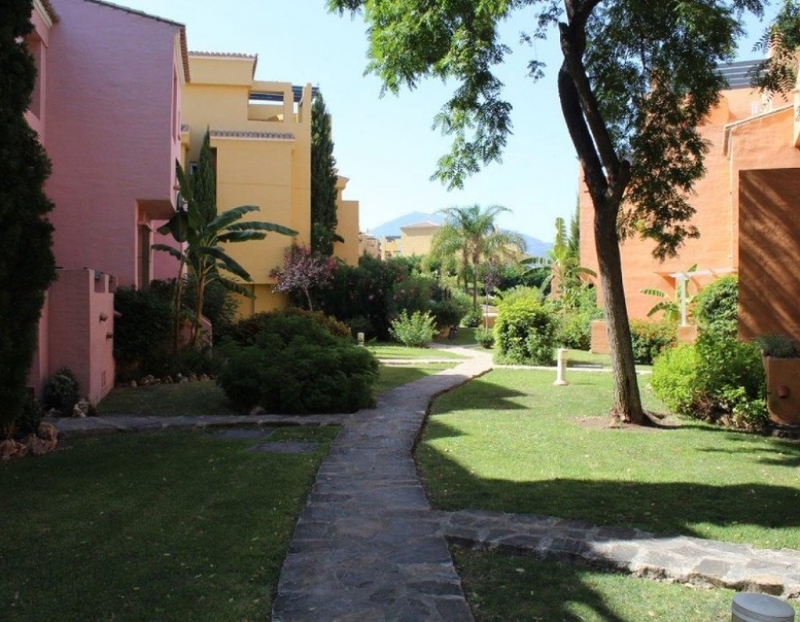 It’s located within minutes of shops, bars, restaurants and of course Guadalmina Golf (one of the largest golf courses in Europe) and just minutes away from San Pedro, Marbella and Puerto Banus. The ground floor consists of a fully fitted kitchen (with adjoining laundry area) and a large living / dining room with fireplace and direct access to a big terrace, which makes it ideal for al fresco dining and entertaining. 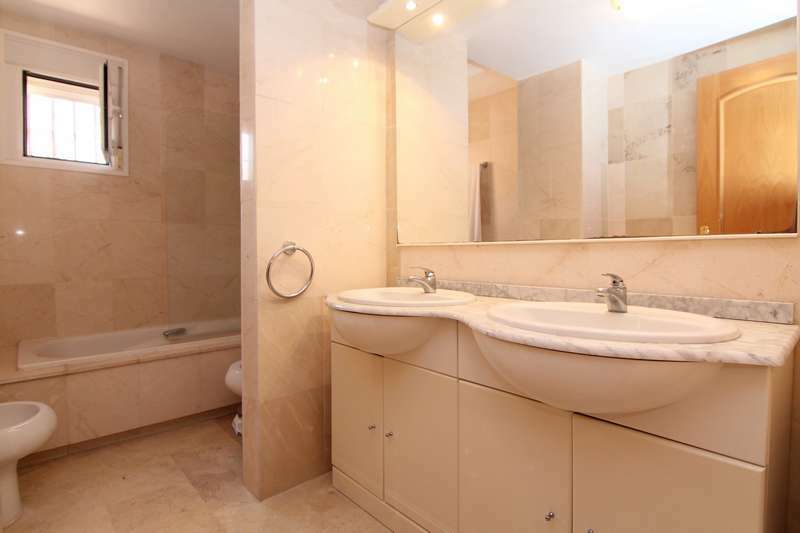 On this floor you will also find two light and airy bedrooms sharing a beautiful luxury bathroom. 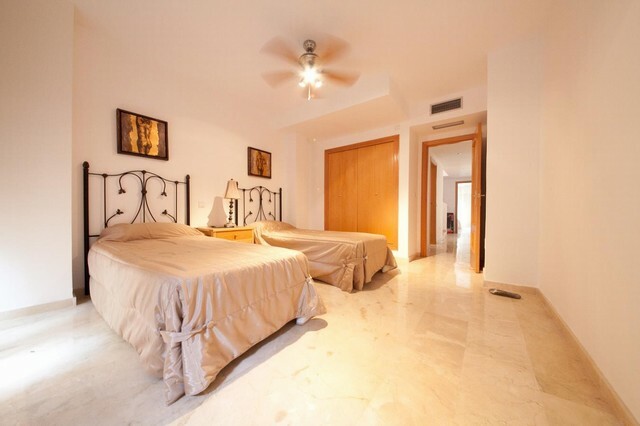 Marble stairs will take you to the first floor, where you will find the master bedroom which occupies the entire upper floor and offers a dressing area, an en-suite bathroom, a den and access to the spacious (57 square meter!) 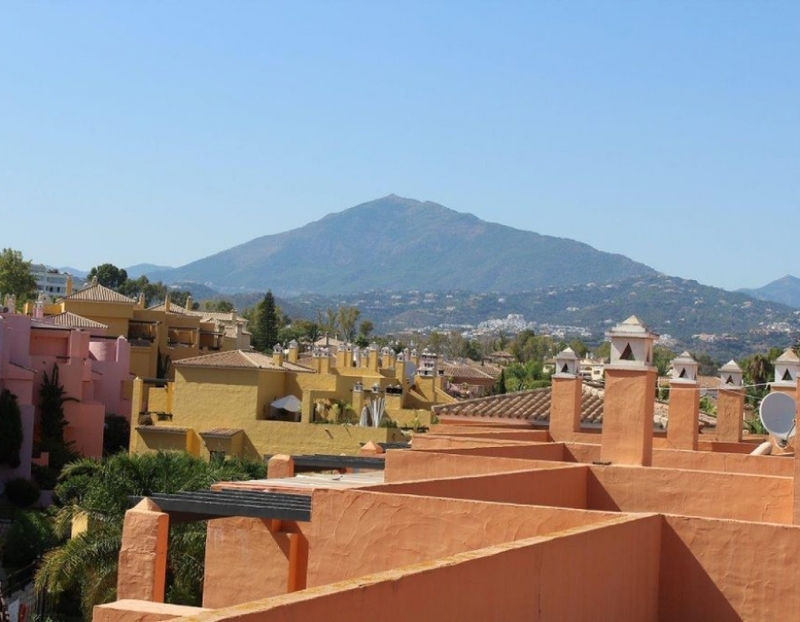 roof terrace with impressive panoramic mountain views and all day sun. 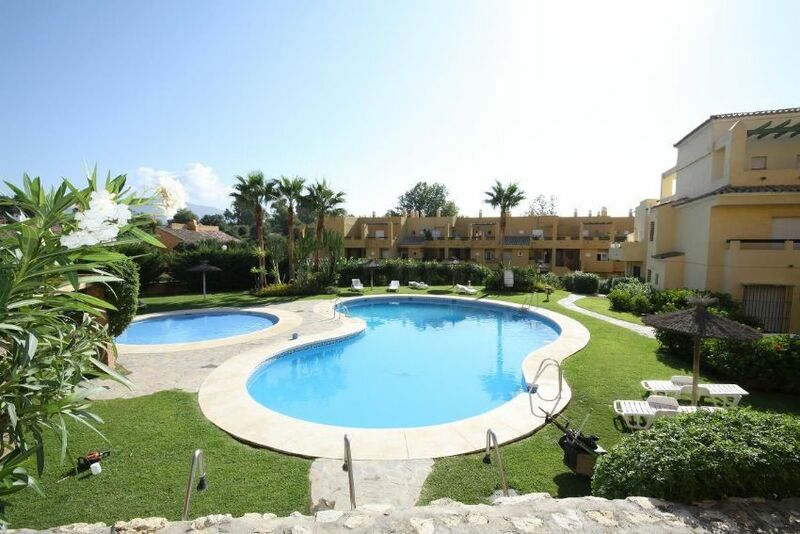 Marble floors, central air conditioning and heating, a parking space for one car, beautiful well-kept communal gardens, no less than 3 swimming pools (the closest being just 50 meters away)…this is a must see if you like peace and tranquility with everything Marbella has to offer just around the corner. 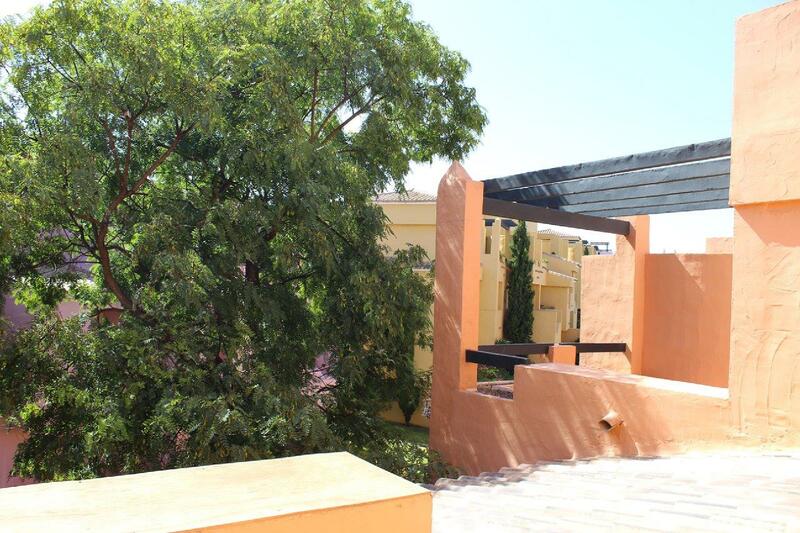 You can click the pictures above to enlarge them. 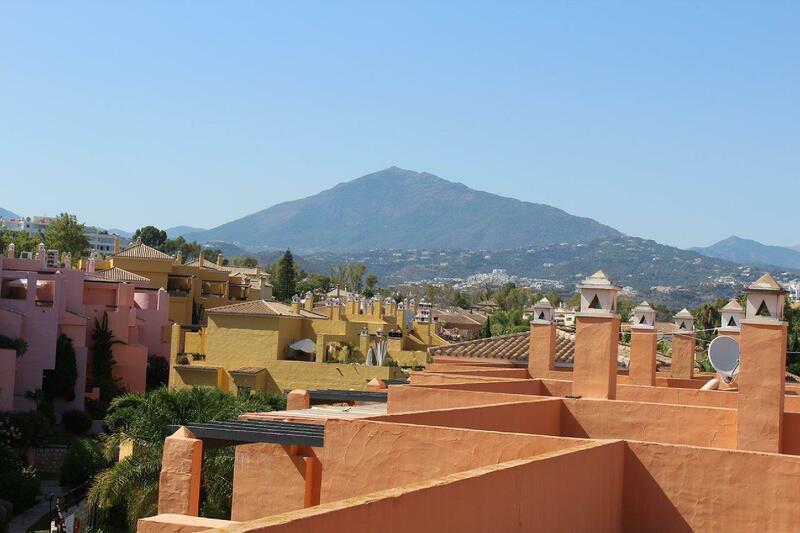 Do you have any questions about this penthouse in Marbella? 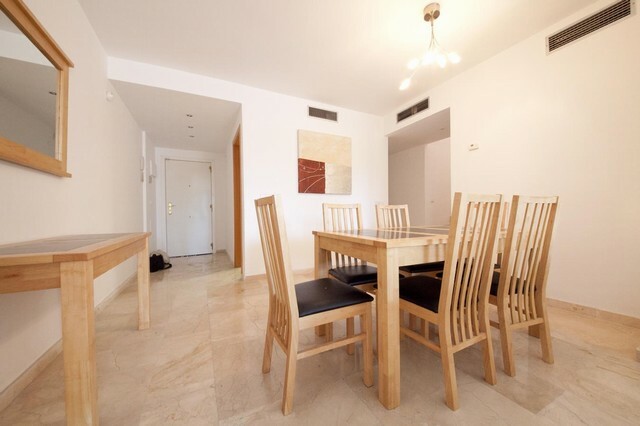 Then don´t hesitate to contact us. 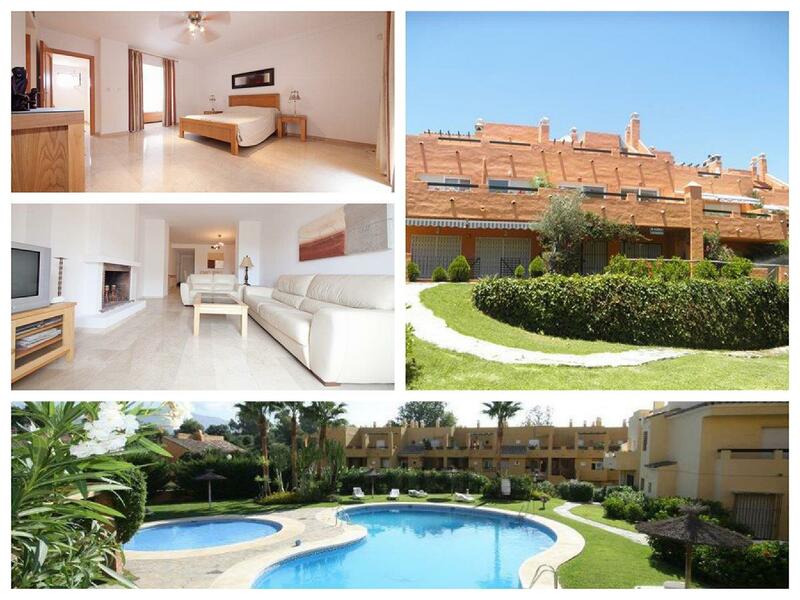 Fill in the form below and we´ll be glad to answer your questions or arrange a viewing. 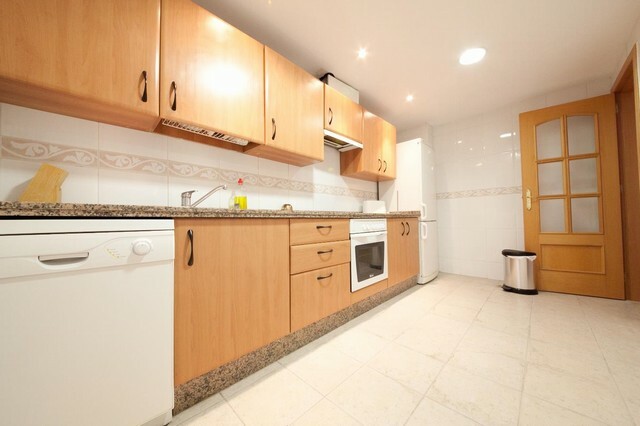 You can of course also call or e-mail us.